AUSTIN, Texas, July 2, 2014 /PRNewswire/ -- Hanger, Inc. has donated $100,000 to establish the 2014-2015 Hanger Kids Scholarship to Camp No Limits, a non-profit camp for children with limb loss or limb difference to receive education, mentorship, and support. 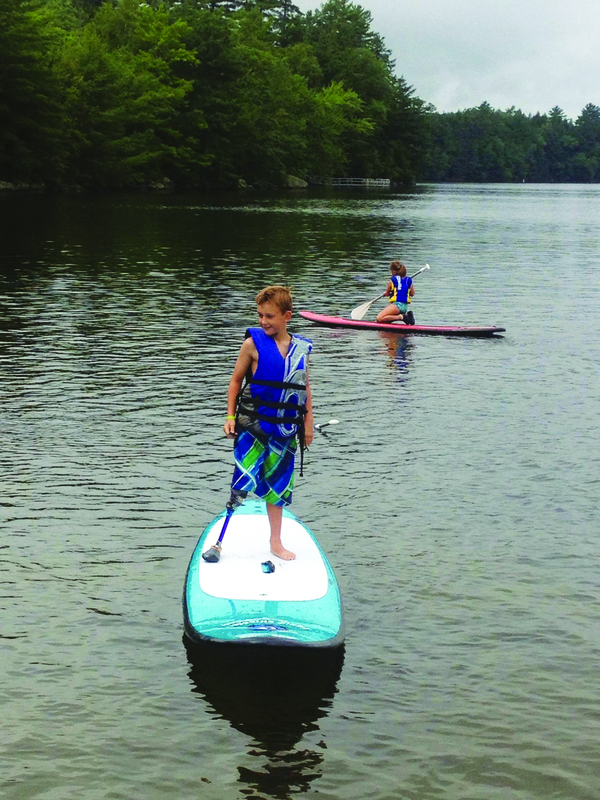 Distributed into one hundred $1,000 scholarships, each award will cover the cost of attendance, lodging, meals, and included activities for 100 kids with amputations or limb differences and an accompanying parent or guardian at any of the Camp No Limits camps available nationwide in 2014 and 2015. The Camp No Limits board of directors is managing the 2014-2015 Hanger Kids Scholarship application and selection process. Applications are available at: www.nolimitsfoundation.org/services/scholarship-application or www.hanger.com/CampNoLimits. Children with limb loss or limb difference who are under the age of 18 at the time of application are eligible for the Hanger Kids Scholarship. Preference will be given to first time campers but all are encouraged to apply. The first Hanger Kids Scholarship to Camp No Limits was awarded to 10-year-old Deven Jackson from Shermans Dale, Pennsylvania. 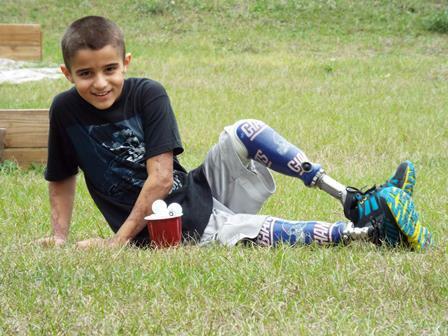 In August 2012, Deven lost both legs below the knees to meningococcal meningitis at the age of 8. Before his illness, Deven played football, baseball, and soccer so returning to a very active lifestyle is important to Deven and his parents David and Michelle Jackson. As the first Hanger Kids Scholarship recipient, Deven attended the Camp No Limits camp in Florida in January 2014. He achieved his goal of running for the first time since losing both legs and commented that he loved to feel the wind in his face. "Deven walked away with such a confidence, more determination, and some great new friends. As parents, we walked away knowing Deven is going to accomplish everything and anything he wants to," said Deven's mom Michelle. About Camp No Limits – Camp No Limits is a non-profit organization 501 (c)(3) that hosts nine annual camps nationwide for children with limb loss or limb difference to receive education, mentorship, and support. Organized by medical professionals and adult amputee role models, Camp No Limits is designed to provide pediatric amputees and their families a fun experience that teaches the children to push beyond their perceived physical, social, and emotional limitations. The Camp No Limits mission is to educate and empower young people with limb loss to discover and develop a healthy, happy and independent lifestyle. For more information, visit www.nolimitsfoundation.org.